ASIA/MONGOLIA - Mongolia mourns Mgr. Padilla, first Bishop of Mongolia Ulaanbaatar (Agenzia Fides) - Bishop Wenceslao Padilla, of the Congregation of the Immaculate Heart of Mary (CICM, also called "Scheut Missionaries"), first Bishop of Mongolia, died on September 25 at the age of 68, following a heart attack. He accompanied the young Mongolian church for the past 26 years. Mgr. Padilla, of Filipino nationality, was in fact sent to Mongolia in 1992, following the reopening of the nation, after the dissolution of the Soviet Union, as Superior of the "Missio sui iuris", and since then did not leave the nation. Today the local Church (a community of 1.300 faithful) cries and remembers him as a person of great faith, who dedicated his whole life to the poor and to the education of children and young people. 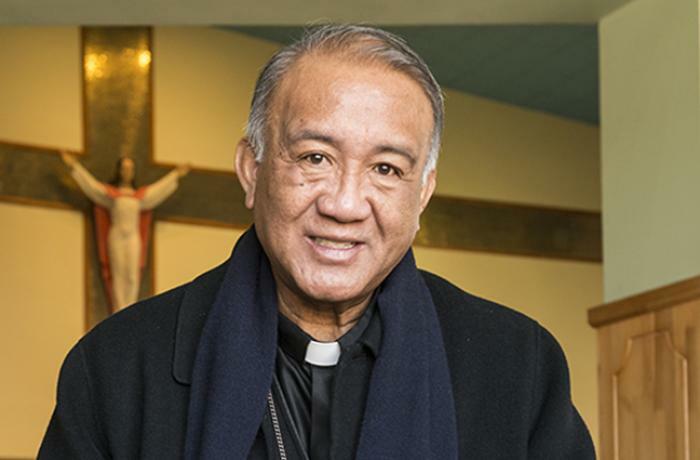 In a message sent to Fides, Pablo Virgilio David, vice-president of the Episcopal Conference of the Philippines and Bishop of Kalookan, expressed the condolences of the Filipino Church to the Church of Mongolia, "the youngest Catholic church in the world", praising "the Bishop's contribution to evangelization in Mongolia"."Msgr. Padilla - he recalled - worked with all his heart, did his best, he gave himself wholeheartedly to a foreign people, in a distant land. God used him to touch the hearts of so many people in Mongolia". Wenceslao Padilla was born on September 28, 1949 in Tubao, Philippines. He was ordained a priest on March 17, 1976 and was appointed Apostolic Prefect of Mongolia on July 10, 2002. His episcopal consecration took place on August 29, 2003 in the cathedral dedicated to Saints Peter and Paul, in Ulanbaatar, the capital of Mongolia. He had arrived in Mongolia with two other Filipino priests - all members of the Congregation of the Immaculate Heart of Mary (CICM) - in July 1992 shortly after the Holy See established diplomatic relations with Mongolia. When he arrived with two of his CICM confreres, there was no church or Catholic in Mongolia. However, he discovered some Catholic foreigners among the personnel who worked in foreign embassies. Thus prayer meetings began in the house, where Sunday Mass was celebrated. As the number of participants grew, community halls were rented to celebrate Sunday mass. Only years later real churches were built. Thanks to the pastoral work of Mgr. Padilla’s and the first priests, the "little flock" of the church in Mongolia was reborn, a community that has always been committed to its mission through dialogue with cultures, religions and poor people. From the beginning, the Catholic community held a sensitive and respectful attitude towards local cultures, establishing good relations with other religions, while dealing with the service and social assistance of many disadvantaged, poor and marginalized people in society. The territory entrusted to Bishop Padilla included all of Mongolia - two and a half million people, in the Apostolic Prefecture of Ulaanbaatar. At the time of his episcopal ordination, in 2003, Bishop Padilla said: "The priority is to be on good terms with everyone, without discrimination, bearing a testimony of Christ's love to Buddhists, other Christians, Muslims and the whole people of Mongolia". Right from the beginning, Padilla conquered the heart of the Mongolian people and was greatly appreciated among Russian Orthodox Christians, Buddhists, shamans and members of non-Christian religious groups. As a Bishop, he immediately committed himself to raising the educational level of the community of the faithful, from kindergarten to university. "We have sponsored students to go abroad and graduate in a foreign university, but I want our young people to have a good education here in their country", he said.